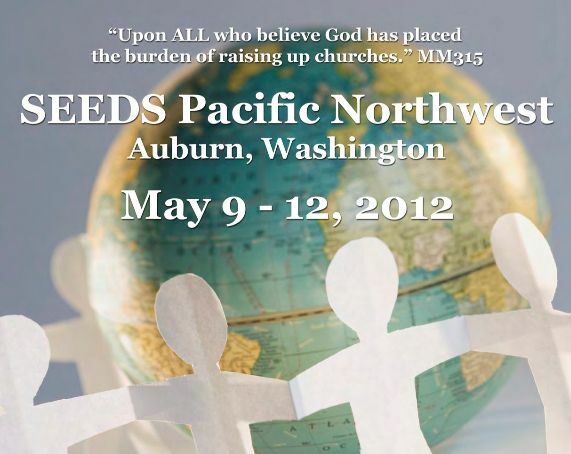 The North Pacific Union is hosting the SEEDS Northwest in Auburn, WA, May 9-12, 2012. Bill McClendon, the new Vice President for Evangelism of the Washington Conference is organizing this thrilling event. This is going to be a special opportunity for church planters to hone their skills, learn and network with likeminded church planters. Please look at the brochure attached and promote this event with your pastors. For more information please contact Bill directly at 253-681-6008 or email Bill.McClendon@wc.npuc.org.